What's behind Budapest's bust up with Brussels? 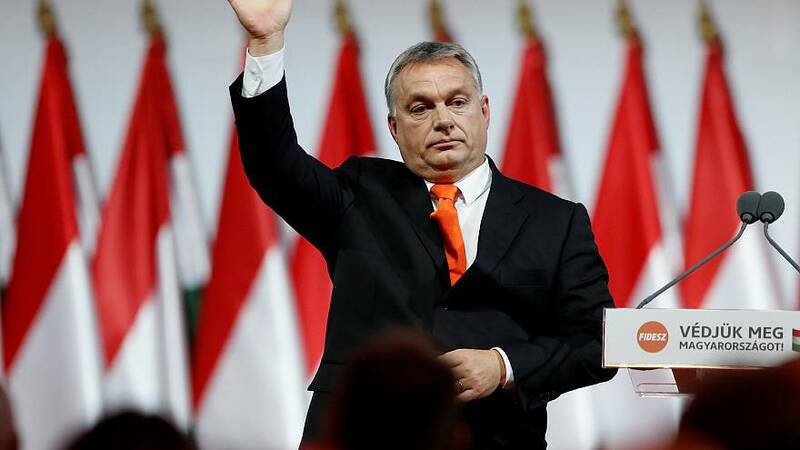 Hungary finds itself in an ideological battle with Brussels and several EU states. Part of the problem lies with the Hungarian government’s refusal to accept EU migrant quotas. In 2015 Hungary erected a barrier topped with razor wire on its southern border to prevent migrants and refugees entering the country. Since then, Prime Minister Viktor Orbán has been warning of a Muslim invasion after 400,000 people crossed Hungary en route to Germany and other western European countries during Europe’s refugee crisis. Such political discourse, both from Orbán, who has described immigration as “poison” and other Hungarian politicians, on top of the emergence of new far-right parties inside the country, has not gone down well in Brussels. One Hungarian MEP György Schöpflin, sparked outrage when he suggested pigs’ heads placed along the border fence would deter migrants, while earlier this year, extremists gathered in Budapest to form a new far-right group. Espousing openly racist views, the new movement called Force and Determination is seeking to replace Hungary’s current far-right party Jobbik. In addition, the Hungarian parliament adopted amendments to its asylum law earlier this year, which allow for the automatic detention of all migrants in transit camps at its borders. The vote drew an outcry from human rights groups and is the object of an infringement procedure by the European Commission. Like Poland and the Czech Republic, Hungary has said it will not comply with a so called EU quota plan aimed at distributing refugees across Europe after holding a referendum on the issue in October last year. In September 2017, however, the European Court of Justice rejected both Hungary and Slovakia’s objections to the relocation scheme. The judgment reinforces Brussel’s bid to make the eastern countries comply with its refugee sharing scheme or risk heavy fines. But Budapest has made protecting Hungarian identity one of its priorities. The Jewish, Hungarian-American financier George Soros has become the number one target, with Orbán’s ultra-conservative government claiming he wants to bring millions of refugees into Europe. Soros has also become the subject of a new law that stipulates that NGOs that receive more than €24,000 a year in foreign funds must identify themselves and register as “organisations supported from abroad”. The law is the object of another infringement procedure by the European Commission. But the Hungarian government’s bust up with Brussels doesn’t end there. Critics accuse Hungary of diverging from the fundamental democratic values that the European Union represents. In addition to letting far-right movements prosper on its territory, Viktor Orbán’s government is accused of curbing press freedoms and civil society institutions. Some European officials have suggested that the EU should consider creating stronger conditionality between fundamental European rights and EU funds. Brussels allocated 25 billion euros in structural funds to Hungary for 2014-20, which amounts to more than 3 per cent of the country’s GDP annually — the highest proportion for any EU country. In the coming months Civil Liberties MEPs will assess whether Budapest is at risk of a serious breach of EU values. If this is found to be the case, the European Parliament could ask the Council to act. In this edition of Insiders, Euronews’ Valerie Gauriat goes to Hungary to meet citizens and far-right groups who say immigration and globalisation are threatening their way of life, while in the studio, Sophie Claudet speaks to Hungarian MEP and ruling Fidesz party member György Schöpflin and Dutch MEP Judith Sargentini, who is the rapporteur for the European Parliament’s investigation into whether Hungary is in breach of the European Union’s values.